Pulitzer Prize Finalist, Superhero Drama and Feuding TV Co-Stars Fuel USA Network’s Development Slate! It’s always interesting to see what kinds of shows TV networks (big four and cable) develop in their quests for hits. Most of the titles they develop never reach the air – a good many never even get to pilot – but they are fun to think about. 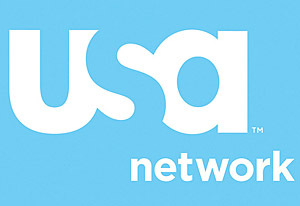 USA Network has, aside from the already announced Mark Wahlberg Shooter scripts, a number of fascinating (and possibly catastrophic) titles in development including: Amped (a cross between Limited and Hourman – a guy takes a pill that gives him increased intelligence, strength and speed), Cooley & The Tank (behind the scenes of the titular/fictional ’80s detective series – whose co-stars detest each other), Mythos (all those myths and legends are true! ), The Tap (’60s Yale student is recruited by both the CIA and Skull and Bones), and more. They come from creators as varied as Rob Reiner (The Princess Bride), Eric Kripke (Supernatural,) and Barry Sonnenfeld (Men In Black). Follow the jump to check out what else USA is working on.